A step more towards lit fic than chicklit, perhaps, occupying the space Mary Wesley used to control, this second read by this author situates itself on the Helford River and in Falmouth after a start in London. Demi is betrayed by her boyfriend and escapes to her grandfather’s house in Cornwall. Having recently lost her mother and messed up a job situation, she’s not quite ready for the family secrets her grandfather is all too ready to share. Meanwhile, well-preserved Victoria works on her family home, reclaimed through her unloved husband’s money and a playground for her and her toyboy lovers when he’s away. Fate throws these two women together and there’s plenty of animosity and angst. Victoria is an unattractive character but is racked with the pain of being childless and the treatments she has gone through in the past, and she is then dealt a very – too? I think so – cruel hand by the author to teach her about inner vs outer beauty – I found this plot device a bit heavy-handed and unneccessary, requiring someone to be effectively mutilated before she can become lovable. Hm. The secondary characters and location were nicely done and it’s readable and decently plotted, with everything hanging together well, but a bit cruel. Thanks to the publisher, Virgin Books, for making this review copy available via NetGalley. I do like a book on business, and did even before I ran my own business. I’m very far from being the kind of dynamic start-up AirBnB was, but I am always fascinated by a good, well-written story that goes into the nitty-gritty of how a company was started and is run, and this certainly gave me that. I’m gradually chipping my way through this rather frightening Kindle to-be-read list by the way; I’ve read and reviewed one from there already, this is the second and I’m reading another one right now! The well-done and lively authorised story of the foundation and rise of this disruptive firm, taking us through the history of its growth in detail, warts and all, describing problems hit along the way, including well-documented accidents, issues with damage to houses and racial discrimination issues (on the part of hosts and guests, not the company, as such) and how the company dealt with these bumps in the road while adhering to its special and unique culture. It also looks at the reaction of city authorities and townspeople, again examining the company’s claims to want to limit multiple listings and adding pressure on difficult housing situations, and the reactions of the hotel industry, along with an excursion into a short history of other hotel industry disruptors that have been gradually absorbed into the mainstream and ways in which this is being done with the sharing-houses concept, too. It also looks at the way the company has been scaled, including a celebration of the fact that it’s practically the only start-up which has retained the three original founders and their complementary skillsets, also examining how (on Earth!) they have developed the management skills necessary for running a huge company when they were essentially two designers and a coder with little management experience between them (it turns out they’ve done this collaboratively, too, using gurus from all sorts of industries, bringing in employees where they have gaps in knowledge, and bravely asking for assessments of the way they manage in order to do it better). A good attempt is made at describing the company culture which has so appealed to millennials but spread out to the rest of the age groups, too, and with the author’s access to the three founders, investors and employees as well as hosts, it feels rounded and authentic. The future is examined, always hard in a very fast-moving company like this one, with talk of brand extensions and then an up-to-date epilogue (written in November 2016) once some of those had been officially announced. There is much focus on how the company has been able to scale its growth while preserving its mission and culture, largely because it has chosen its own investors and not gone public yet (I know from my small experience that being independent is the only way to retain your own culture and values unless you are very, very careful). There are lots of notes, which is great, as it shows a commitment to proper referencing, however it suffers here from the standard problem with ebooks, in that you don’t know where the book will end and the notes start, so you don’t really know how far through the book you are. There’s also a rather annoying non-interactive index with a note at the top reminding us that it won’t work as such as it comes from the print version, so ebook readers will need to look up terms using their search function. Why include it, then? This aside, a good read with a nice lot of detail. I’m now reading Elizabeth Fair’s “Seaview House”, which I started during some bus journeys to buy cheese and skyr and meet my friend Meg for coffee. Absolutely CHARMING as anything so far. And probably matches my usual readers more closely than this review. Anyone else out there appreciate a good, solid business read? 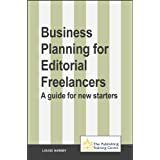 I’ve previously read and reviewed Louise’s first book, “Business Planning for Editorial Freelancers“, aimed at newcomers to the profession and those who needed to brush up their business planning skills. This book on marketing is for a similar audience, but it goes much more into the nuts and bolts of the actual marketing process, telling the reader what is out there that they can try, explaining why it’s a good idea to try it, providing some examples of people who have tried it (and in the interests of disclosure, I am one of the people who she mentions as examples of good practice) and giving some pointers as to what to do next. As I do in my own writing, the author professes not to use jargon in her book, and she doesn’t, explaining concepts clearly and concisely without muddling the waters with marketing speak. As such, the book will be very accessible to those who fear marketing and can’t see the point of making the effort – or those who try to do it, but half-heartedly – the “embarrassed marketers” as Harnby calls them. But no one could fail to be convinced by the information that’s laid out clearly and methodically – and everyone can learn from it – I certainly learned a bit more about the relationship between Google+ and searching for your services, and about some of the other social media service that are out there. The book is clearly laid out in four parts, covering concepts – ideas about marketing, what it is, how it helps you to grow your business; then activities, which sets out a chapter on each of various marketing channels including cold letters, face-to-face networking and social media, among many more; then a very useful sample marketing plan; and a good solid list of resources at the end. The marketing plan is a stroke of genius, as it takes a non-traditional editor – certainly not a woman who’s worked for a publisher then struck out on her own, which is something of a stereotype in our industry – and sets out what they can achieve around an editing career, branching out into all sorts of other activities and, as Harnby advocates at the beginning of the book (and something I strongly advocate, too) making sure that they have a mix of customers and types of work. This book would be particularly useful for anyone starting out in editing freelancing or for anyone who’s giving it a go but not getting very far with getting customers. It’s also very useful for anyone planning to work with traditional publishers, as it sets out a lot of information about choosing which companies to target, etc., although one of Harnby’s own strengths is that she also works with self-publishers, and she has plenty of advice about how to deal with this market segment too. It also served to make me count my blessings and realise how lucky I’ve been to have gathered together a broad portfolio of clients through word of mouth, social media marketing and a couple of directory sites. In summary, if you’re in the early stages of an editorial career, perhaps especially if you are not sure of the market in which you wish to work, buy a copy of “Marketing your Editing and Proofreading Business” and read it cover to cover (or percentage to percentage, I suppose, if you read the e-book version!). I will be recommending it to my mentees in the profession, and including it in the list of resources in my next book! Find out more about the book on Louise’s website. You’ll find more info there on the book and links to where you can buy it. Note: I received a review copy from Louise – thank you. Although I am quoted and referenced in the book, I make no financial gain from you purchasing it (although of course it helps my marketing effort in raising awareness of my website and thus my own books!). Terry Chimes was the original drummer in The Clash and rejoined the band part-way through their career, as well as working with other rock bands until he decided to change career and become a chiropractor. I thought that this book looked very interesting from a music and career-change perspective, but I was, I’m afraid, sadly disappointed. It’s very … pedestrian. He manages to make life as a rock drummer sound really boring, and the business wisdom that has been praised in other reviews already published consists of truisms and exercised in stating the obvious. Be reliable and things will be better for you. There is no limit except that set by your mind. All that sort of stuff. Although he thanks an editor in the acknowledgements, he must have ignored their suggestions, as the prose is flat, full of dangling identifiers and non sequiturs, and littered with errors. I was really pretty disappointed with this, and was glad I didn’t pay for it. Re the editing issues, I know it’s a pre-publication copy but it seems to have been out there for a while, perhaps in print, already, judging by the number of reviews. A book about small companies that do better in business and against their larger competitors than they logically should do, with insights from the leaders of such companies culled from seminars and groups run by the author. He certainly knows his stuff, and the book is packed full of insights, inspiration and real-life, concrete examples of the theories and practices he discusses. This book would be most useful for companies that are offering a product (rather than a service), and in the sectors of health, beauty and wellness, as these areas are where most of the examples are located, although there are some good general principles too. It would also be of most benefit to the small-to-medium sized enterprise, rather than a very small or single-person business, as there’s information about recruiting and managing the appropriate staff and departments working together which wouldn’t be so directly relevant. It’s well laid out, in an easy to follow structure that is consistent across the chapters, and there is a good bibliography and references list to back everything up. I would recommend this to the CEO of a small company trying to hit above its weight, or to anyone in business (and in fact big businesses could learn much from this, too). Currently reading: I am finishing off “Mansfield Park” at the moment, and then it will be goodbye to the Month of Re-Reading with “Jude the Obscure” for the Hardy challenge, which is a re-read of which I remember nothing but a very dim impression! Louise Harnby’s book, “Business Planning for Editorial Freelancers” is a must-read for anyone considering going into this line of business. In fact, there is a great deal of useful general information in the book that would be useful for anyone looking to start their own business. The book is packed with useful advice on working out what you want to do, formulating a business plan, building a customer base, networking, using social media, etc. 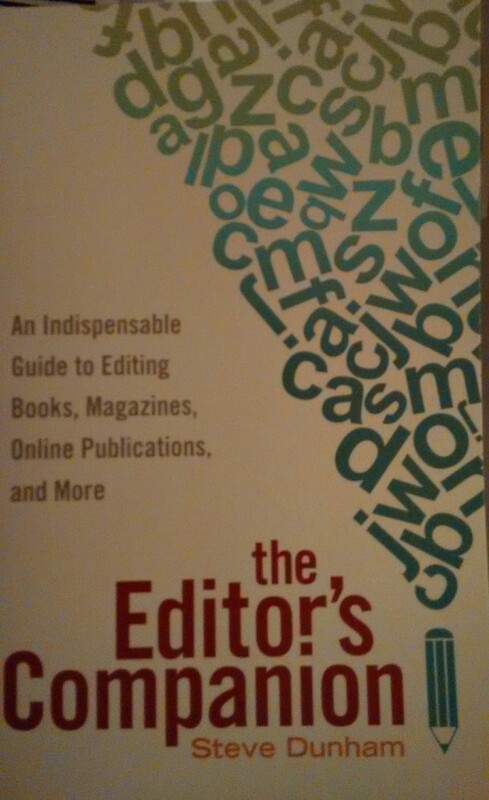 It’s peppered throughout with real-life examples from a handful of other editors, who are working in fields as diverse as genre fiction editing, STM publishing and academic articles, as well as Louise’s own experiences and some longer case studies at the end. There’s a great resource guide with loads of links to useful blogs, pages and reference materials (I was chuffed to see a link to my blog in the resource guide, which I hadn’t expected!). Although I’m obviously an experienced editor (etc.) who has been running a business for some time, I found it useful for two reasons. One, it’s always gratifying to know you did the right thing when you started out, and indeed I have done much of what is recommended here. Two, I learned a few things, which is always nice, specifically about some editing software that makes the job easier (which I will hopefully be getting hold of and reviewing on here at some stage), and about how to embed downloadable pdfs into your website. It’s never too late to learn something new! There was lots more to recognise, too, such as the emphasis on other editors being colleagues, not competitors, and the advice to use what you’ve learned in your previous jobs and life experience to deepen and broaden your offering as a freelance editor. I also realised how lucky I was to come into the work having learnt my trade in various jobs in the past, and how lucky I was to build the business pretty much by word of mouth and advertising on one or two sites, plus using social media. Things can be a lot more daunting than that, and I appreciate how lucky I’ve been that everything came together at the right time. As regular readers will know, I’ve written a book about starting your own business myself recently. I think this book and mine complement each other very well – this is about hard facts, research and the resources you need to get there, whereas mine is more a collection of experiences and lessons learned along the way, along with coverage of other areas such as what to do when you’re ill and what to wear in the home office. 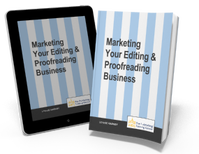 There’s also a great deal of information about training courses in editing and proofreading and the professional organisations, as befits a book published in association with the Publishing Training Centre. So I’m not shooting myself in the foot by shouting loud about how very good and useful this book of Louise’s is: it’s excellent and I wish it had been around 4 years ago when I was setting up Libro. I will certainly recommend it to new editorial colleagues and more experienced colleagues who might want to pick up additional information on training, networking or social media, for example. More information about the book on Louise’s website, which includes links to the various places where you can buy the book. Note: the author kindly sent me an e-copy of this book to review. 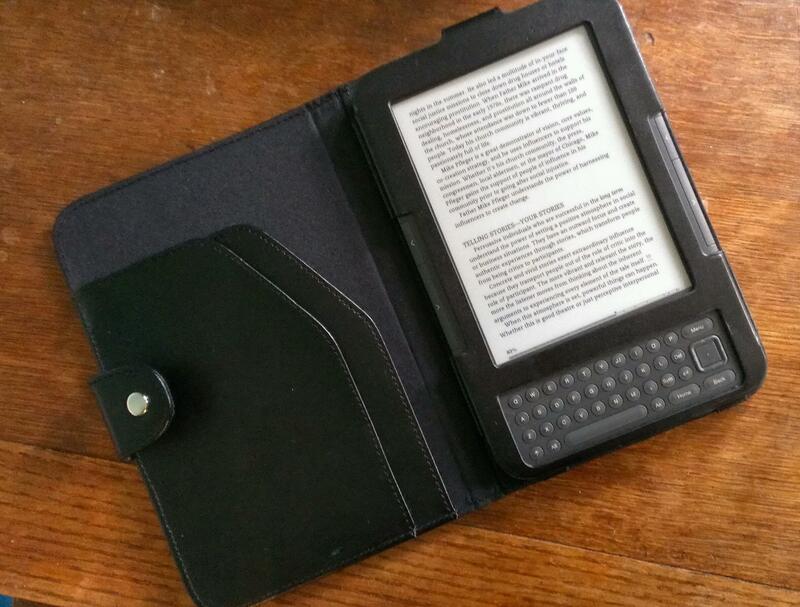 I’m giving this one a review on its own because it’s a business book, and I thought readers of this blog might want to be able to find business book reviews all in one place. So there’s a new category over to the left in the category cloud, too. I’ve just finished reading Emma Jones’ “Working 5 to 9: How to Start a Successful Business in your Spare Time”. Now, obviously that’s what I’ve done (or if you’re new to this blog, look at the Self-Employment category to find out more) and I’ve moved on to a mature business operating full time, but I still like reading business books, and it’s always interesting to find out what I could have done differently (actually, according to this book, I did OK!). The book has plenty of general advice, and then the excellent idea of having more than 50 case studies of real people running businesses in their spare time. There’s a bit of information about each, and then valuable insights into how they did it, what they’re doing now, and whether they are going to be giving up the day job. Here I have to admit I was surprised – quite a few of the featured people said, no, thank you, they’d like to keep on the day job, too, which I think is a valuable insight and one which hadn’t struck me as an option once I’d believed that my own business was going to be able to support me on its own. There’s plenty of good advice on setting up your business, marketing and business plans and using social media in special sections, as well as little hints and tips on work-life balance etc. in the articles about the participants. These participants have businesses ranging from franchise party plan operations through single person crafting and creating to partnerships, giving a bit of information on a wide range of different options. I also liked the fact that I know, or know of, a few people mentioned – I know the Enterprise Nation website and am a member, have met San, who contributes on social media, and Emily Coltman, one of the featured businesspeople, is my go-to person for accounting puzzles and contributed a guest post to the Libro main blog. All in all I think this would be a very useful book for anyone considering setting up their own business. Although it’s a few years old now, the information and links are still valid. I’d be interested to know how the featured people are doing now – I find this fascinating in my own interview series with small businesses and would love to know how they’re all doing. Note: I picked up this book via BookCrossing. Although I know Enterprise Nation and some of the people who run it, this is not a sponsored post.